April 10, 2014 (Tokyo, Japan): Japan Display Inc. (President and CEO: Shuichi Otsuka; JDI), a leading global supplier of small- and medium-sized displays, will be commencing mass production of 12.3-inch variant liquid crystal display (LCD) modules in April. Designed exclusively for instrument panels, it will open the way for gorgeous cockpit designs for motor vehicles. 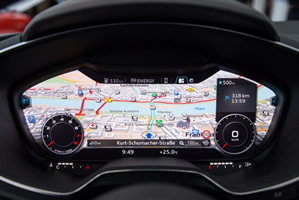 Initiated for automotive navigation systems and entertainment applications, automotive LCD displays can now be used in instrument panels and rear view monitors, following improvements in the wide viewing angle technology and high contrast technology. 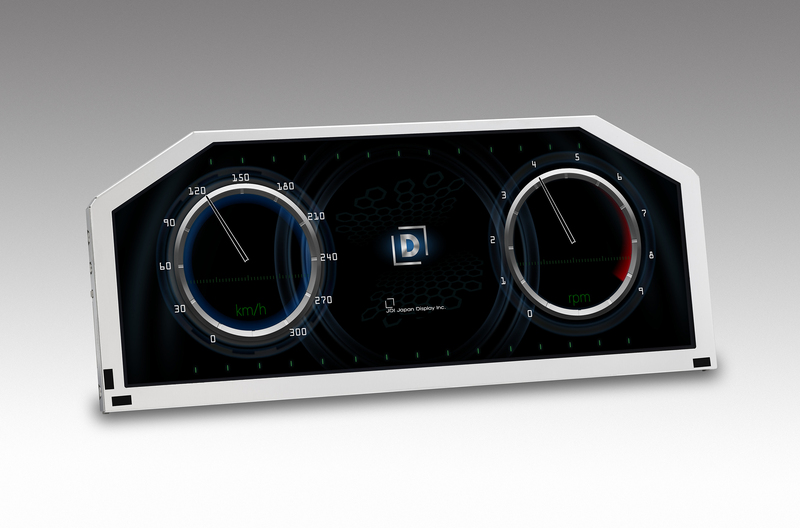 JDI has developed variant LCD modules that enable instrument panel designs with beautiful curves. 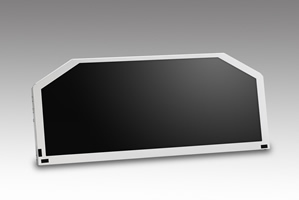 Challenging the stereotypical LCD panel form, namely the rectangle, a hexagonal LCD panel with the two upper corners of the rectangle cut off will dramatically broaden the freedom of automotive interior designs. In addition, this product is equipped with a magnesium frame on its back plane to obtain enhanced robustness, heat radiation and lightweight features in comparison with conventional products. JDI will work to respond to customers' requests in the automotive sector with an accelerating trend towards functional upgrades with its outstanding LCD displays and matching production capacity. In addition to JDI’s strong IPS technology, the 12.3-inch large-screen display provides high luminance at 1,000 cd/m2. The sharp black based on the high contrast, part of the characteristics of the IPS technology, adds an upscale look to instrument panels. A brighter display than that of the conventional model will help increase its visibility in the daytime. With the two upper corners of the rectangle cut off, the new module enables a larger display screen than the existing model to be matched with rounded instrument panels. It helps create interior designs based on more freewheeling ideas. The new module increases the freedom of display forms and broadens the potential for mounting relatively large-sized displays on instrument panels. This makes it possible to display a wider variety of information than on existing small-sized panels. A concentrated indication of the necessary information on the instrument panel will reduce drivers’ eye movement and contribute to enhanced safety.